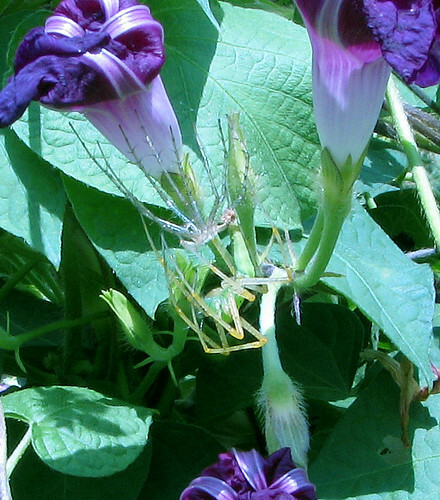 I was checking out my morning glories when I happened to spot a green lynx spider. At first I thought I was seeing the result of a nasty spider fight, but I was so very wrong. The whole scene is difficult to spot because almost everything in the photo is some shade of green, but the newly emerged spider is hanging from her shed.